Some directors in the National Intelligence Agency (NIA) have raised an alarm over recent developments in the agency, particularly the change in leadership. The directors, in a letter to the House of Representatives Committee on Security and National Intelligence, called for an urgent intervention to stop the change in the agency 's leadership from having severe consequences on the country's security apparatus. They are demanding the removal of the newly appointed Director-General of the agency, Mr. Ahmed Rufai Abubakar. Dated January 29 and co-signed by EO Olanrewaju, Nelson Obiakor and Ahmed Sarki ( not real names) on behalf of a group named Concerned Directors of NIA, the letter said the appointment of Mr. Abubakar is a threat to cohesion in the agency. According to the letter, Mr. Abubakar is the first head of the agency to be appointed from a rank below that of a director. "Since its inception 32 years ago , nobody below the rank of a director has been appointed as its head. 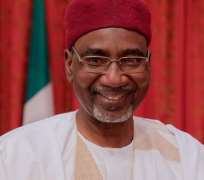 This explains why we regard the recent appointment of Ahmed Rufai Abubakar, a man who is on record to have failed to merit elevation to the rank of director and who has retired from service to come and preside over people who are not only his seniors in rank but who fit into the order of precedence," said the letter. The disaffected directors argued that Mr Abubakar’s appointment as DG NIA will set a dangerous precedence. "While we are aware that part of the new DG’s agenda is to retire those of us who are his seniors, as it is more likely that he may not want to work with us, it is evident that he will pursue a vendetta mission, which he has already indicated in his very first address to us.He is at liberty to go ahead with what we know he intends to do, but we wish to point out the underlying dangers in a massive purge of senior officers of the agency, to the effect that, not only will the millions of dollars spent on training and retraining us be lost, we are also custodians of the country’s intelligence dossiers, and may decide to use same for mischief," said the disenchanted directors. They warned that the country’s already brittle security situation may become worse if they are shabbily treated by the new DG NIA. They also said if Mr. Abubakar is unable to work with those of them still in service and with better credentials, the Presidency should appoint a serving director, who understands the dynamics of the agency in his place. "Having failed promotion examinations to the directorship rank, which we can attest to and make bold to state that it amounts to administrative suicide to allow a practical misfit take over the agency and later mortgage same to his paymasters, who have ulterior motives," said the directors. They requested the House to investigate Mr. Abubakar's nationality. "Since the government, itself admitted that Mr Abubakar was born and bred in Chad, while on the other hand, he claims to have been born in Nigeria; at least going by his the records and his CV, suffice it to point out that there is an obvious contradiction. We call upon this honorable body to thoroughly look into this seeming discrepancy," they requested. They stated that the agency's rules require that any prospective appointee into such strategic position must be vetted from the cradle. "It is an incontrovertible fact that Mr. Abubakar’s links with Chad, a country with likely rival interest with Nigeria, makes him suspect as an espionage and not fit to head the country’s elite intelligence agency. "It is necessary for us to alert that, the issue of likely doubtful loyalty is a serious issue in intelligence corridors. Where a person’s nationality or that of his spouse becomes unclear, a thorough vetting from the cradle become even more demanding. In this case, it is very dangerous that the vetting process has been compromised, which is an ominous danger to the nation’s security," argued the directors. The equally requested the House Committee to investigate the activities of the Mr. Babagana Kingibe-led Presidential Review Panel as the relate to Mr. Abubakar's appointment. "It is very curious that paragraph 4(1) of the recommendations of the Kingibe panel prescribes that a serving director should be picked as the Director-General, only for the same characters that sat in judgement over the need to reorganize the NIA, turning around to violate their own recommendations, by picking one of them to contemptuously assume duty as head of the NIA," the directors said. They alleged that it was very clear from the start that the Presidential Review Panel was inaugurated purposely to protect the former DG, Mr. Ayo Oke, who has repeatedly threatened to expose beneficiaries of his time in office if there is an attempt to disgrace him. The angry directors further alleged that the motive is to ensure that the remaining $44 million of the NIA intervention fund is kept within the reach of the cabal. "The failure of the immediate past Acting DG, Muhammed Dauda, to allow them access to the money may be the reason for his removal," they reasoned. The Concerned Directors also disclosed that the Clandestine Operations Unit of the NIA has been ordered to manufacture and clone documents that could be used to defend Mr. Abubakar against the legitimacy crisis he is facing.